Also called Love in a Puff, because of the white heart shaped mark on the black seeds. The pods are mostly air, and give a satisfying pop when squeezed. Found growing along creek beds. 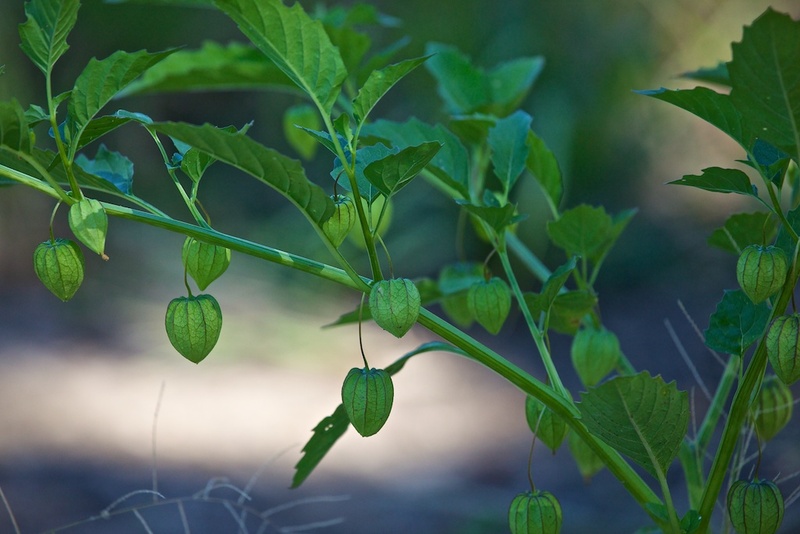 The picture is physalis(ground cherries) not balloon vine.